Whether you need to have wiring installed in a newly built home or you are looking to rewire your aging home, you need help from expert. At Larry & Sons, our expert Hagerstown electricians are here for all of your residential wiring and rewiring needs. Our electricians are professionally licensed, insured and bonded, and you can depend on them or high-quality electrical services that will not break your budget. Wiring is a complicated and labor intensive project. Working with electricity can also be extremely dangerous, especially when you do not have the proper training and safety equipment. Whether you are wiring or rewiring an entire home or just running a new outlet, you need help from a licensed electrician. 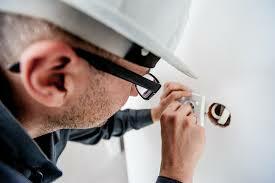 For professional wiring and rewiring in Hagerstown, depend on the expert electricians right here at Larry & Sons. When you choose us for the job, you can rest assured knowing that it will be done correctly. We abide by all local codes when installing and updating wiring, and we take your family’s safety seriously. 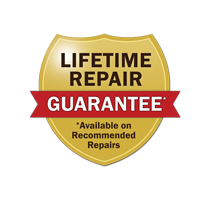 With a Larry & Sons electrician on your side, you will never have to worry about faulty wiring that could cause injury or a fire hazard. Larry & Sons has been serving the Hagerstown area for more than 50 years, and we are proud to offer professional electrical services our customers can depend on. We offer reasonable rates, and we are available 24/7 for emergency service. For electrical wiring and rewiring in Hagerstown and the surrounding communities or to learn more about our full range of electrical services, please contact us today by calling 301-733-5428.